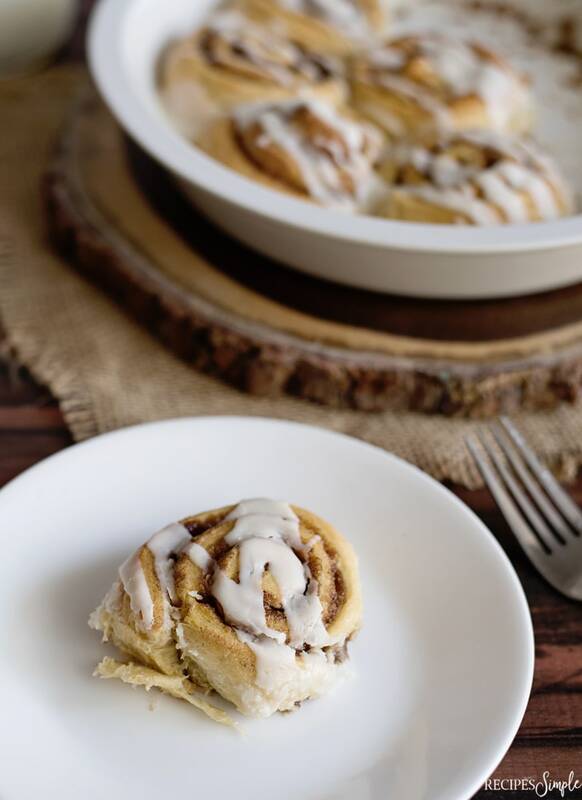 These Pumpkin Spice Cinnamon Rolls with cream cheese icing are delicious and so easy! They are made with crescent rolls and make the perfect fall breakfast, brunch or dessert. 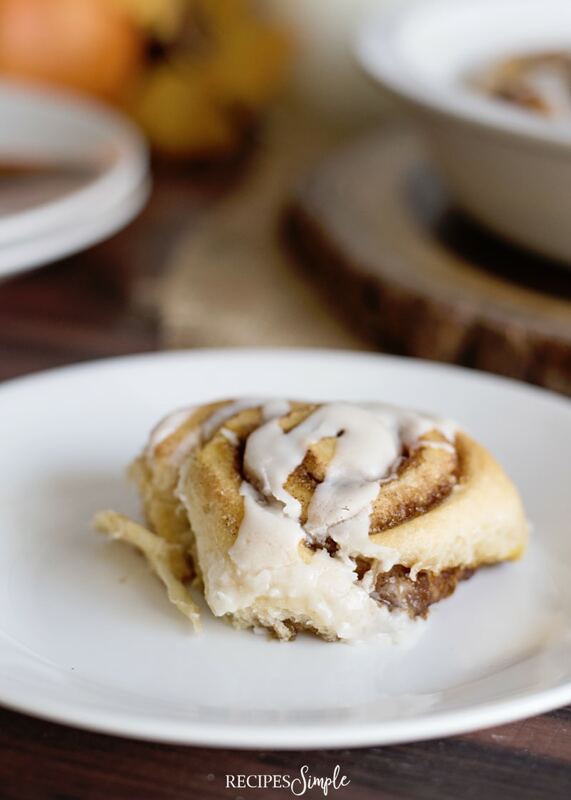 I am a cinnamon roll addict and I could eat cinnamon rolls every day and never get tired of them. 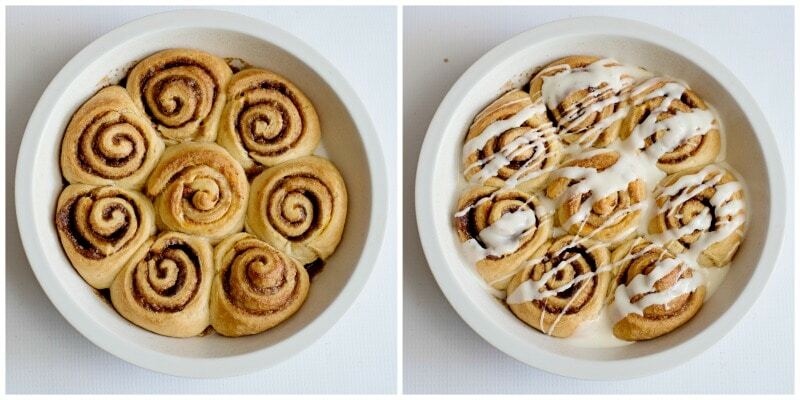 I have an entire board on Pinterest just for cinnamon roll recipes. It’s bad but so good at the same time. I may need an intervention! 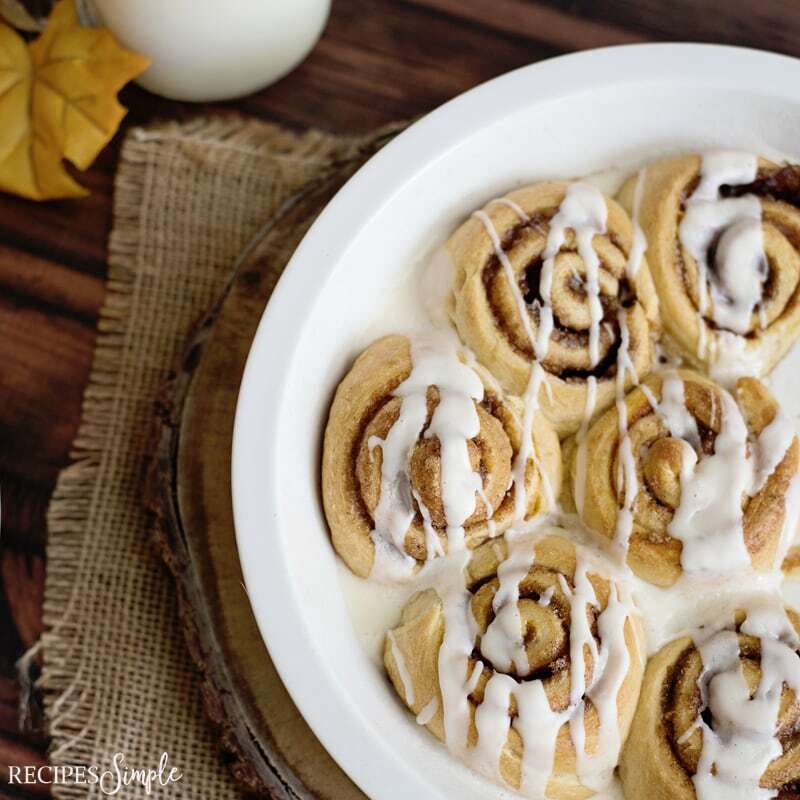 Let’s talk about these delicious Pumpkin Spice Cinnamon Rolls. If you aren’t a fan of working with yeast or don’t have the time then you will love this recipe. 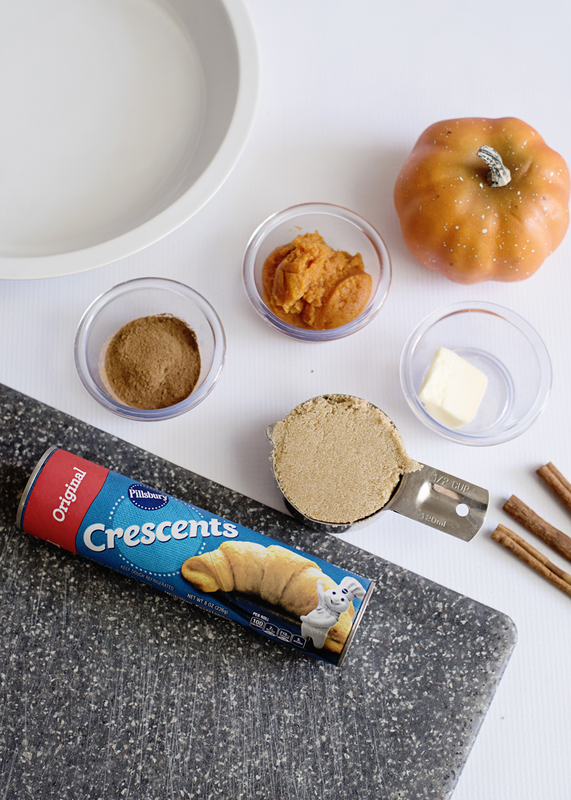 It uses crescent rolls which is a huge time saver. 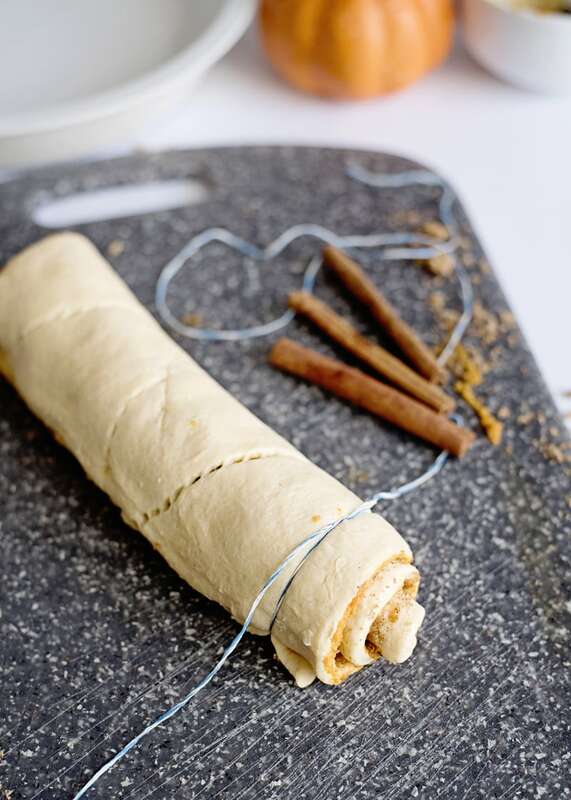 To make these delicious Pumpkin Spice Cinnamon Rolls you will need crescent roll dough, unsalted butter, canned pumpkin, light brown sugar and pumpkin pie spice. Preheat the oven to 375 degrees. Prepare a 9 inch pie pan with non-stick spray. Unroll the crescent roll sheet and push all of the seams together, making one solid sheet. In a small bowl, combine the semi-melted butter and pumpkin. 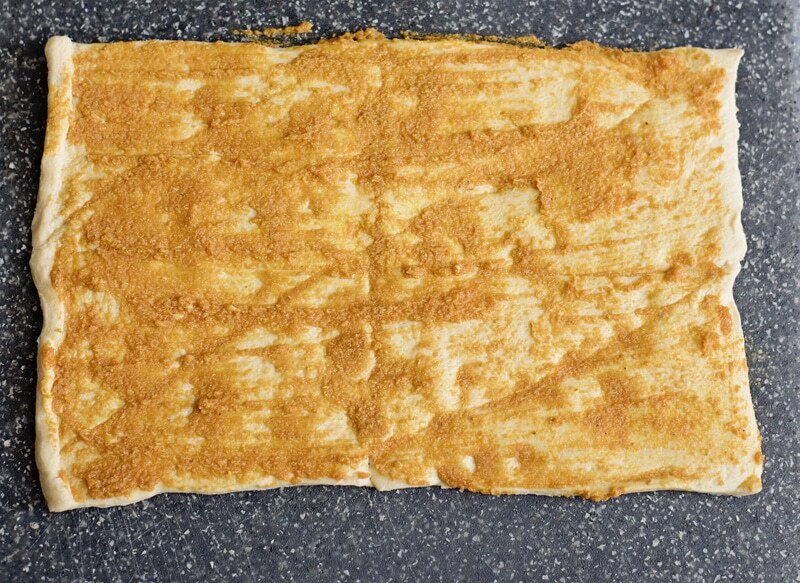 Spread the pumpkin mixture over the entire sheet of dough, reaching all of the edges. 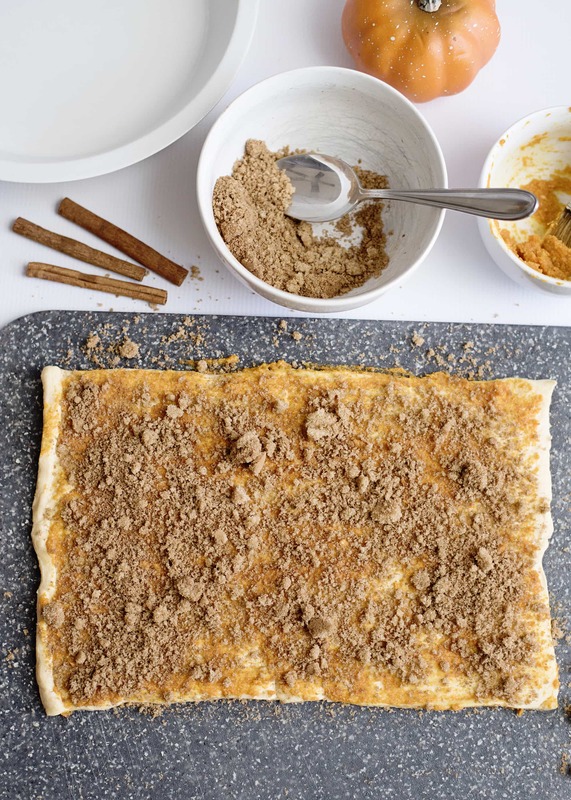 In another bowl, combine the brown sugar and pumpkin pie spice. Then, sprinkle all over the top of the sheet, reaching all of the edges. Roll the sheet up from the short end, to the other short end. To cut your slices, use a string such as floss or butcher string, tie it around the log and pull tight until a slice has been made. This will prevent your slices from being smashed with a knife. Do this until you have made 8-9 slices. 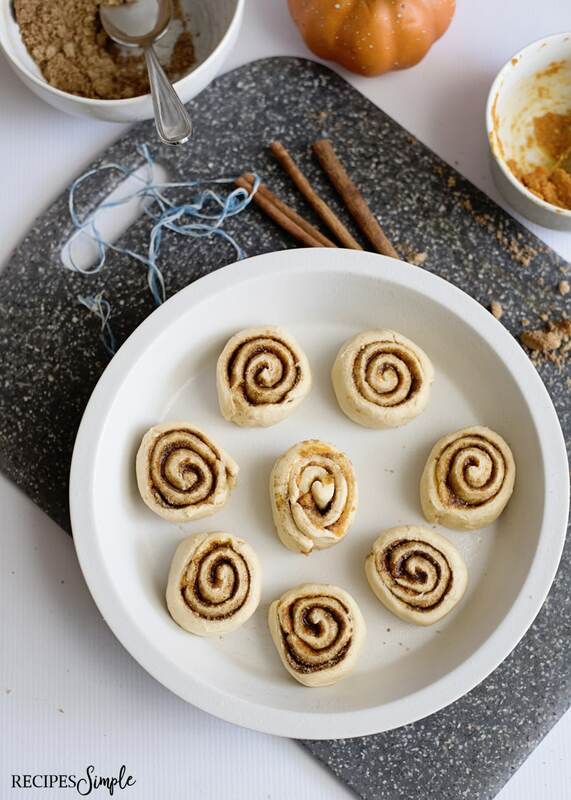 Arrange the cinnamon rolls in your pan, giving them plenty of space to expand in the oven. Bake for 15-20 minutes, until golden brown on top. While baking, prepare the frosting. Using a mixer beat together the cream cheese and butter until fluffy. Add in the salt, vanilla, and milk and slowly add in the powdered sugar. If your glaze is too thick, add a little more milk. When your rolls are done, let them cool for a few minutes and then drizzle the frosting all over the top. These are best served warm. Hope you enjoy these easy and delicious Pumpkin Spice Cinnamon Rolls with cream cheese icing! Preheat the oven to 375 degrees. Prepare a 9-inch pie pan with non-stick spray. Unroll the crescent roll sheet and push all of the seams together, making one solid sheet.